Looking for an offensive boost, the Philadelphia Phillies added an All-Star who may not help them for a while. The NL East-leading Phillies acquired injured catcher Wilson Ramos from the Tampa Bay Rays on Tuesday for a player to be named or cash. They also got left-hander Aaron Loup from the Toronto Blue Jays for minor league right-hander Jacob Waguespack. Ramos is batting .297 with 14 homers and 53 RBIs but is on the disabled list with a left hamstring strain. General manager Matt Klentak said the best-case scenario has Ramos returning in mid-to-late August, though it’s possible he may be sidelined until September. Ramos said he can do everything behind the plate but still feels pain when he runs. When healthy, Ramos should upgrade an offense that has struggled during a four-game losing streak. He’s also solid defensively. ”Wilson Ramos is a proven commodity, both behind the plate and at the plate, and also as a teammate,” Phillies manager Gabe Kapler said. Ramos, who turns 31 next month, has a $10.5 million salary, and the Phillies will be responsible for the remaining $3,443,548. He has 315 plate appearances and can earn $250,000 each for 450, 475 and 500. He is eligible for free agency after the World Series. Jorge Alfaro (.254, 7 homers, 23 RBIs) has been Philadelphia’s starting catcher with Andrew Knapp (.223, 4, 15) also seeing plenty of action. They’ve combined for 16 errors and 13 passed balls. 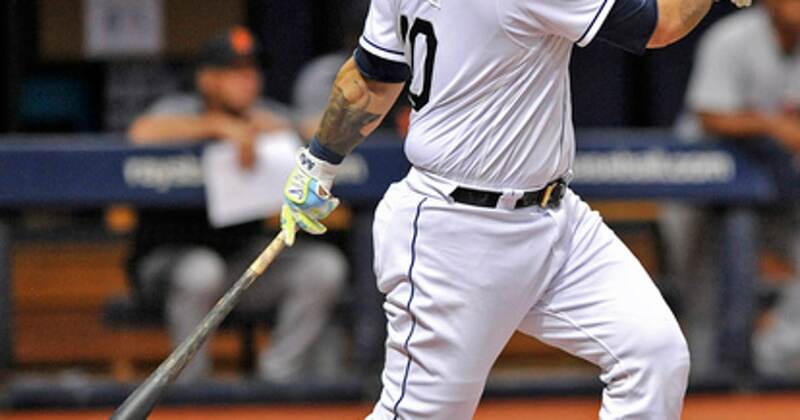 The Phillies already added more pop when they acquired infielder Asdrubal Cabrera from the New York Mets last Friday. Loup has a 4.54 ERA in 50 relief appearances this season with 42 strikeouts in 35 2/3 innings, and the Phillies will assume the $594,422 remaining of his $1,812,500 salary. Waguespack was 4-6 with a 4.68 ERA in 21 games, including 15 starts, at Double-A Reading and Triple-A Lehigh Valley. Infielder Trevor Plouffe and lefty Zach Curtis were designated for assignment to make room on the 40-man roster. AP Sports Writer Jimmy Golen in Boston and AP freelancer Mark Didtler in St. Petersburg, Florida, contributed to this report.